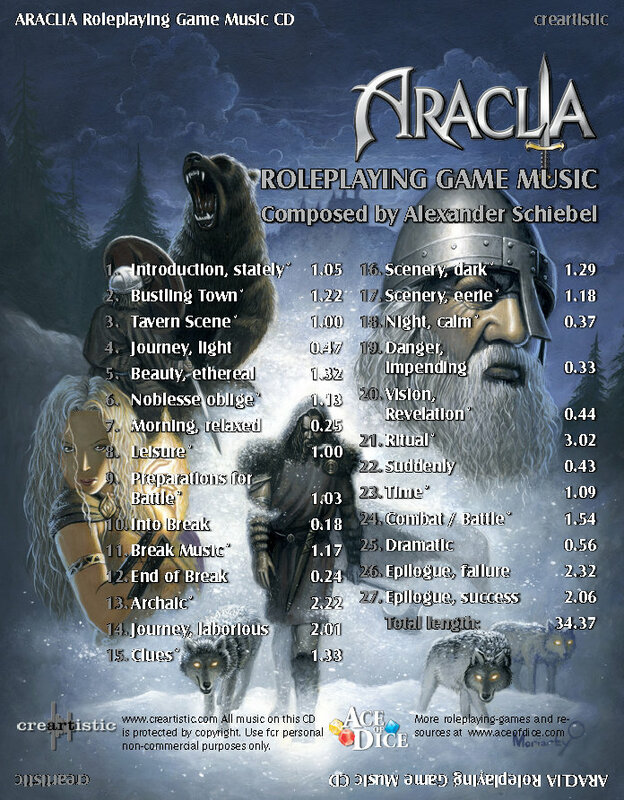 This album is not only an appetizer for the upcoming release of Araclia, but also contains 34 minutes symphonic soundtrack for atmospheric roleplaying in any fantasy setting. 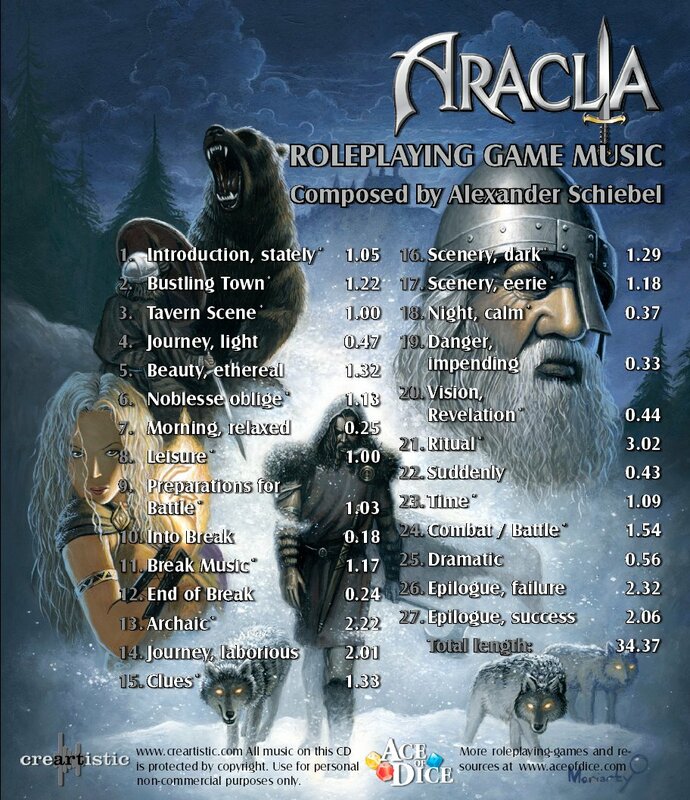 All tracks have been composed using leitmotives in order to enhance specific themes and situations. Some of them can even be played seamlessly in a loop. 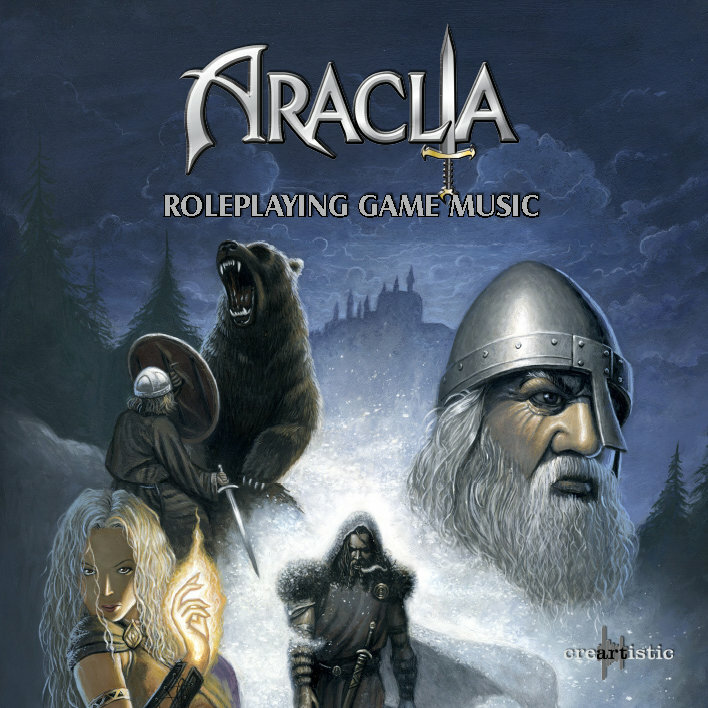 The Araclia Roleplaying Game Music makes your scenarios unforgettable and a great listening experience as well! 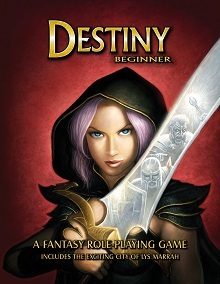 Includes lovely illustrated inlay card and label and booklet with composer notes.